Heinrich Heine rightly quoted, “Where words leave off, music begins.” Imagine a life without music! Thanks to those people, who time and again delivers us with good music to balance out our life in this mad frenzy world. Speaking of which, Nagaland has its own set of budding raw talents that keeps surprising us every now and then. 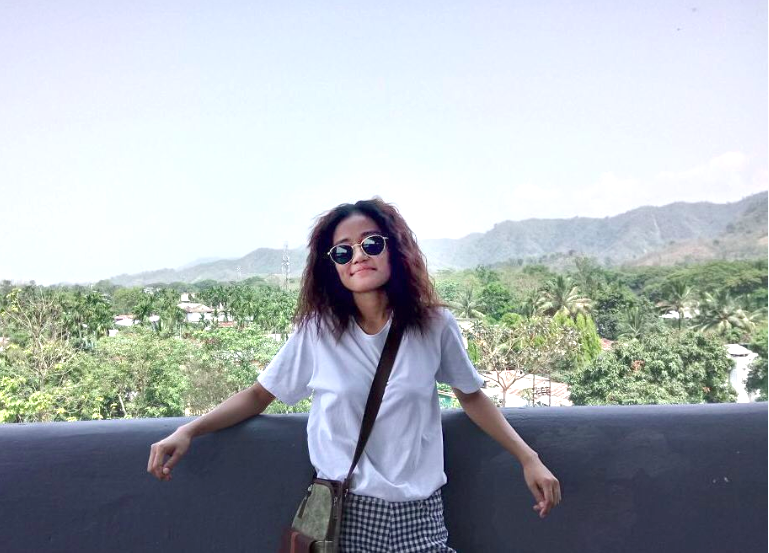 Today we have a special guest, a naturally talented musician, and a humble soul – Moajungla Jamir from Nagaland, who took the internet by storm two years ago, when a video of her singing “Coat of many colors” by Dolly Parton went viral. We sat down with her to find out what she’s been up to, her musical journey so far and what she hopes people take away from her music. It’s a beautiful one… read on to find out. Hi Moajung, tell us something about yourself and what you’ve been up to. Introduce us to your work. What got you started? Singing has always been a passion since my childhood days and I remember entertaining the passengers of a bus with a Backstreet Boys song when I was just three years old. My passion for music grew stronger as I started learning to play the guitar. How did your roots and upbringing influence your music journey and your life in general? I feel like I am not worthy enough to be featured here because I am nobody yet, but what I am today comes from my roots. The fact that I have Naga roots, where most people have innate musical and creative talents, has given me chances and a platform that otherwise would have been hard to come by without training and dedicated education. I say this because I was brought up in a middle-class family where music was not an obvious career choice. Also, losing my father to cancer last year was a painful event in my life. However, music played a big role in healing me. Every day I am thankful for the support from family and friends around me. Humbled and even more grateful for my roots. What’s your creative/work philosophy – where do you take inspiration from? I believe that creativity and inspiration comes from experiences. Personally, I tend to become emotionally attached to songs that I can relate to. I also believe that an artist should always be able to tell a story through their work. What are your plans for your musical career? At this point in my life, I feel that depending just on music alone as a career is not really an option as there are millions of others who are far better than me – so many of them just in Nagaland itself. It was/is never a space where I want to pursue professionally, and I feel at some point, education becomes a need. So I am pursuing my Bachelor of Education (B.Ed) full time. “Love” is what I want people to take away from my music, and not just any love, but God’s love. What makes music so beautiful is because it is from Him. When people look at me, I want them to see His love and grace in me. My goal in music is not just to enjoy the song, but to be remembered. I don’t want people to envy me when I sing, rather I want to encourage them to count their blessings and be satisfied with what they have been blessed with. Tell us about your latest work/project/song? Right now, I am not engaged with any music work, as I am barely coping with my studies. I cannot even promise anything in the future but we never know, I might take you by surprise. Can you single out an item/song from your work which you are particularly proud of? My cover of “Coat of many colours” by Dolly Parton will always remain the highlight of my musical journey. It was a random cover which was not even planned or expected but I received heart-warming feedbacks from people all over the country. That certain video is so special to me because it gave me a reason to keep going. Watch Moajungla Jamir’s cover of “Coat of many colours” by Dolly Parton – that went viral 2 years ago. 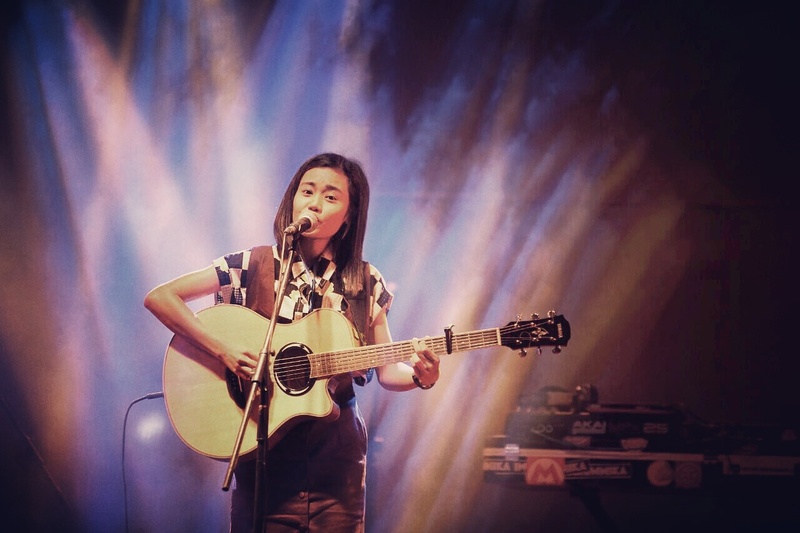 Follow her on Instagram @mjjamir to hear her soulful and soothing covers!